The use of anthropomorphism in literature has been a long-standing technique that can be dated back to being used in ancient civilizations such as Mesopotamia (one of the oldest civilizations analyzed and understood). Mesopotamia gave human characteristics to non-human beings, and especially emerged through their polytheistic religion where such human characteristics were given to Gods that were represented by an object animal or plant as a spiritual meaning or significance (Religion in Mesopotamia and Primary Gods). In an article written by James Derby titled, Anthropomorphism in Children’s Literature or ”Mom my Doll’s Talking Again”, anthropomorphism is defined as “Giving life or life-life characteristics to inanimate objects”. As already suggested via the Mesopotamia civilization, religion is a key area that has displayed anthropomorphic characteristics over thousands of years. These anthropomorphic traits can be found not just in literature, but in art such as paintings, and is even simply used when considering God (who is not human) as one’s father. So what about anthropomorphism being used in children’s literature? Well according to Elizabeth Dunn in her article titled Talking Animals: A Literature Review of Anthropomorphism in Children’s Books, animals displaying human characteristics are extremely common in today’s picture books as well as chapter books, and is not limited to just animals being able to talk, but includes “wearing clothes, walking upright, cooking, playing instruments, and living in houses” (4). Furthermore, Dunn suggests that talking animals are predominantly found in the genre called animal fantasy. The range of anthropomorphic capabilities suggested by Dunn may be from fully anthropomorphic to just having the ability to talk or reason like a human (4). Interestingly enough, anthropomorphism first found its way into children’s literature during the Victorian era. The use was rather for educating and persuading purposes and is most evident in the book Black Beauty by Anna Sewell. In this book, the story is told from a horse’s perspective, and unfortunately the horse faces many forms of abuse. The goal of the story is to spread awareness of horse abuse, and by telling it through the horse’s perspective, a sense of sympathy is felt by the reader for the horse (Dunn 6). Therefore, anthropomorphism has been a key player in establishing moralistic stories in children’s literature, and is used in a way to help educate the youth on how to behave appropriately. In the end, Friedmans notes what authors David and Lauren Krueger point out and may be one of the largest contributions anthropomorphism has toward being so appealing for children. It is through its indistinct characteristics that anthropomorphism and animal characters may allow children to be more open toward learning and engaging how to handle situations by being able to “project themselves onto animal characters to confront new and threatening scenarios” (Friedman 6). Anthropomorphism appeals to children because it is easily relatable to, and adheres to the imaginative mind of a young child. Dunn, Elizabeth. 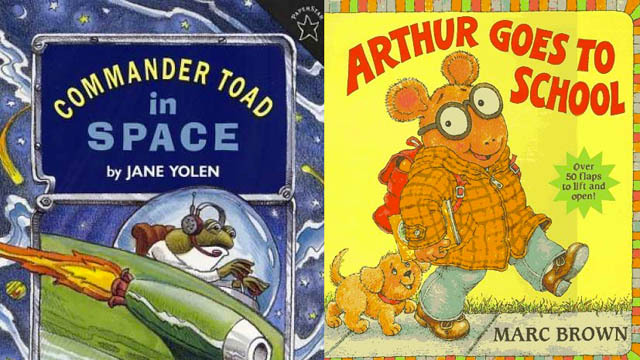 Talking Animals: A Literature Review of Anthropomorphism in Children's Books. MA thesis. University of North Carolina, 2011. Web. <http://dc.lib.unc.edu/cdm/singleitem/collection/s_papers/id/1419/rec/13>. Derby, James. "Anthropomorphism in Children's Literature or "Mom, My Doll is Talking Again."." Elementary English. 47. (1975): n. page. Web. 25 Feb. 2013. <http://www.jstor.org/discover/10.2307/41386644uid=5660056&uid=3739560&uid=2129&uid=2134 &uid=2&uid=70&uid=3&uid=8024032&uid=67&uid=20018&uid=62&uid=3739256&sid=21101860786567>.